Congratulations to R. J. Kern! Minneapolis fine art photographer and artist R. J. Kern has been selected to create the Official 2019 Minnesota State Fair Commemorative Art. His original interpretation of the Great Minnesota Get-Together will be unveiled at the State Fairgrounds in June. His work has been exhibited in a number of notable exhibitions, including the National Portrait Gallery (London, UK), the Museum of Modern Art (Tbilisi, Georgia), the Yixian International Photography Festival (Anhui, China), and a solo exhibition at the Griffin Museum of Photography (Boston, USA). Awards and accolades include CENTER 2017 Choice Award Winner, Curator’s Choice (First Place), PDN’s 30 2018, Photolucida Critical Mass 2018 Top 50, the 2017 Taylor Wessing Photographic Portrait Prize (Finalist), and two Artist Initiative Grants from the Minnesota State Arts Board (2016, 2018). Kern’s work has been presented in a number of publications, including a feature in National Geographic (November 2017) with his series The Unchosen Ones and Out To Pasture. Kern published his first monograph with Kehrer Verlag, titled The Sheep and the Goats, awarded one of “The Most Beautiful German Books 2018” and awarded Bronze by the prestigious Deutscher Fotobuchpreis 2018-19. 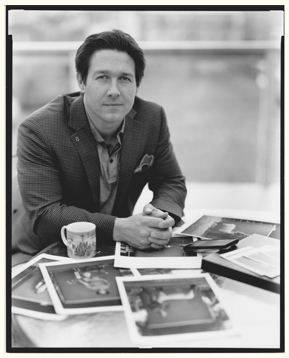 Collections holding his work include the Center for Creative Photography; the General Mills Corporate Collection; the Griffin Museum of Photography; the Plains Art Museum; the Museum of Fine Arts, Houston; and the Museum of Fine Arts, St. Petersburg. He is represented by Klompching Gallery in New York and Burnet Fine Art & Advisory in Minnesota. He lives in Minneapolis with his wife, Krista, and two children. Visit rjkern.com for more information. The commemorative poster, a limited number of signed prints and other merchandise featuring the art will be available for purchase after the June unveiling. Proceeds will support the Minnesota State Fair Foundation 501(c)(3) mission to preserve and improve State Fair buildings, fairgrounds and educational programs. The original art will be on display in the Fine Arts Center during the 12-day run of the 2019 State Fair. For more information about the fair’s commemorative art, visit mnstatefair.org/art. The 2019 Minnesota State Fair Commemorative Art will be the 16th in a series of artwork created annually by Minnesota artists for the Great Minnesota Get-Together. In past years, artists have included: Steve Johnson and Lou Fancher (2004), Mary GrandPré (2005), Nancy Carlson (2006), Michael Birawer (2007), Edie Abnet (2008), Leo Stans (2009), Deborah Voyda Rogers (2010), Steve Thomas (2011), Joe Heffron (2012), Marie Olofsdotter (2013), Emily L. Taylor (2014), Adam Turman (2015), Michael Sweere (2016), Ta-coumba Aiken (2017) and Kristi Abbott (2018). View gallery of past artwork. For more information about R. J.’s work, visit rjkern.com. Watch TPT’s MN Original piece on R. J. Kern.